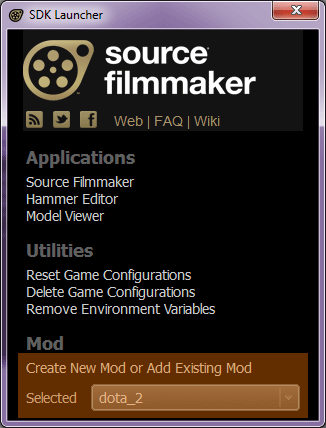 As mentionned into the guide overview, we will using Sourcefilmmaker to get the full tools functionnal mainly HLMV. 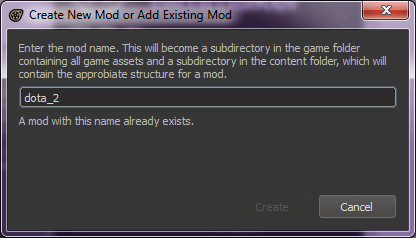 Create a new mod that will will named, dota 2. Go into the directory where you have installed MESA in Projects directory. 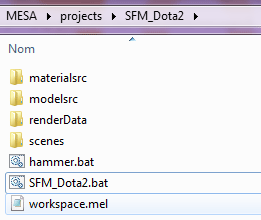 Rename Sourcefilmmaker.bat to SFM_dota2.bat and open the file to edit the content. 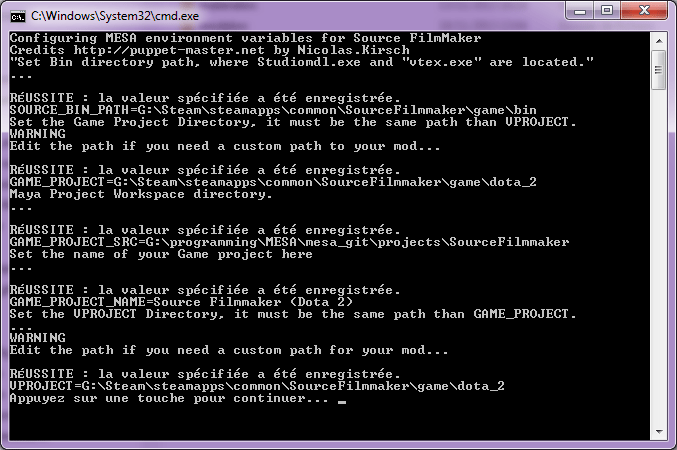 The paths must to fit with the paths of the directories that has been created by the “create mod”function of the SFM launcher. 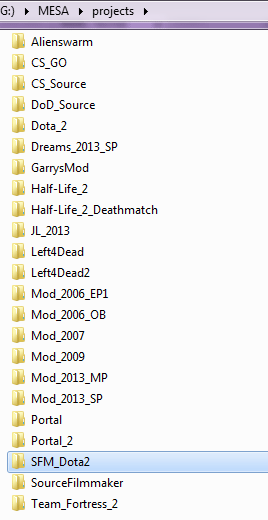 SET GAME_PROJECT_NAME="Source Filmmaker (dota 2)"